Is Saudi Arabia to thank for lower oil prices, as Donald Trump said? By Kyra Haas , Louis Jacobson on Monday, November 26th, 2018 at 3:31 p.m.
President Donald Trump touted a reduction in oil prices ahead of Thanksgiving and thanked Saudi Arabia for making it possible. "Oil prices getting lower. Great! Like a big Tax Cut for America and the World," he tweeted. "Enjoy! $54, was just $82. Thank you to Saudi Arabia, but let’s go lower!" The tweet came a day after the president indicated he would not go after Saudi Arabia for the murder of journalist Jamal Khashoggi. Trump has broken with the CIA, which concluded Saudi Crown Prince Mohammed bin Salman ordered Khashoggi’s assassination. There has been a drop in gas prices, but the fall-off has been less dramatic than Trump indicated. That’s the case regardless of which metric you use: West Texas intermediate crude or benchmark Brent crude, the two key yardsticks for per-barrel crude oil prices. The last time a barrel of oil cost $82 was in October 2014, according to federal data for West Texas Intermediate crude. The price hit $76.40 as recently as early October 2018, and the most recent data shows it at $57.16. That’s a drop of $19.24, not the $28 Trump said. For Brent crude, a barrel of oil did hit $86.07 in early October, and it’s since fallen to $64.14. That’s a $21.93 drop, again smaller than the drop Trump cited. In addition, the most recent price for Brent crude is still $10 more per barrel than Trump tweeted. Here’s how the two prices have tracked since early September. That said, despite the decline in recent weeks, prices at the pump on the heavy-travel Thanksgiving week were still the highest in four years. What’s the cause of the price drop? 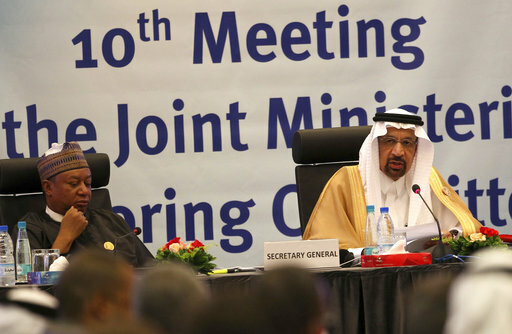 Saudi Arabia is a major player in oil, and it has increased its output recently. 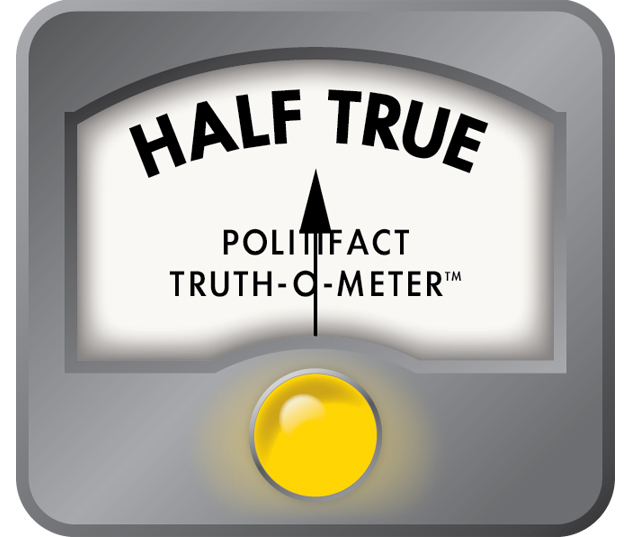 But Saudi Arabia’s recent increase in oil production is not enough to explain the drop in oil prices, experts told PolitiFact. For starters, Saudi Arabia isn’t as big a force in the world market as it once was. Oil production by the United States has experienced a larger net increase than the entire production increase from the Organization of Petroleum Exporting Countries (OPEC, of which Saudi Arabia is part). Other countries have also increased their production, including Russia and the United Arab Emirates. Overall, this high level of production has had a significant impact on global markets. While Iran has decreased oil production in light of pending U.S. sanctions, that hasn’t hurt supply as much as some expected, said Paul J. Sullivan, an economics professor in the Eisenhower School at the National Defense University. Another factor is on the demand side. A big reason for the decline is the expectation that the global economy will slow, leaving too much oil and not enough customers, Sullivan said. The International Energy Agency released revised expectations projecting this slower global demand growth through 2019, and those expectations play into the price drop, said Anna Mikulska, a nonresident fellow in the Center for Energy Studies at the Baker Institute. In addition, oil is priced in dollars, and the increasing strength of the dollar has also made oil cheaper, Sullivan said. All told, there are "hundreds of other economic factors" that played into oil prices outside of Saudi Arabia, Sullivan said. "That tweet hits on maybe 15-20 percent of the explanation, but misses the other 80-85 percent." Mikulska agreed. "Saudi Arabia's commitment to higher production mattered in lowering oil prices since October, but it has not been the only factor," she said. Trump tweeted that just before Thanksgiving, oil was $54 a barrel, down from $82. He added, "Thank you to Saudi Arabia." The price of oil has dropped in recent weeks, and increased production by Saudi Arabia has played a role. However, oil prices haven’t dropped by as much as Trump said, and several factors other than Saudi Arabia — including increased production by other big suppliers and an expected drop in demand — have played a significant role. Published: Monday, November 26th, 2018 at 3:31 p.m.